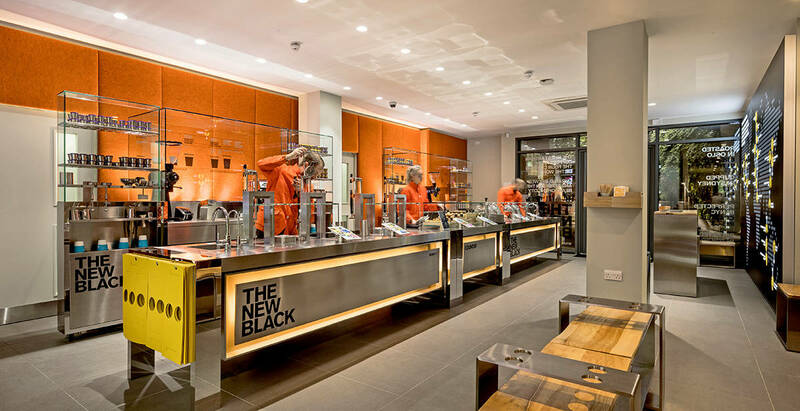 As coffee companies rush to make the switch to sustainable cups, The New Black CEO David McCarthy asks what will happen to the non-recyclable rejects? THE story surrounding cup recycling and the related impact on the environment has long left fact and science far behind and moved into the political arena. This means that emotion, hyperbole and press hysteria often direct the conversation. To illustrate my point, let’s imagine the following scenario: Big Koffee Corp has been serving its coffee in ‘recyclable’ cups for a number of years. It’s long been accepted as important that businesses do the right thing by the environment, but the term ‘recyclable’ too often gets misapplied or misused. Going green can come with a cost if it’s not done right. Like many in the industry, Big Koffee Corp is using paper cups lined with plastic polyethylene, which we now know means they cannot be recycled in many parts of the world – including the UK. This plastic lining is a big part of the reason less than 1% of coffee cups are recycled in this country. Under enormous pressure from a variety of groups, they make a snap decision to immediately switch to a fully compostable solution for all takeaway cups. After all, the earth will stop spinning if they don’t, right? The news filters through the company and the warehouse manager rings up head office to enquire what should happen to the 6,500 pallets of plastic-lined cups in storage. I can’t help but wonder if we wouldn’t be better actually using them up and then moving to a much more responsible compostable version or no disposable cups at all. 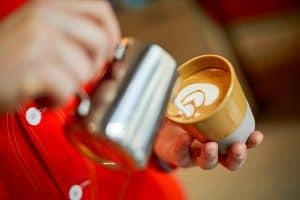 The commercial reality is that these companies will have to instantly produce billions of compostable cups en masse, no doubt duplicating and increasing the environmental impact of the industry’s cup mountain and costing coffee companies and thereby the coffee drinker, a lot of money. I realise money isn’t the primary driving concern here; preserving the planet and its natural environment is. 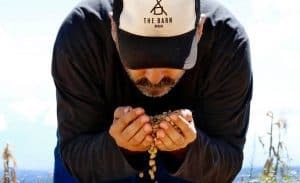 However, with retail already facing (in some cases) insurmountable challenges, this is a significant factor in our ability to meet consumers’ insatiable desire for beautiful, environmentally-friendly coffee. Coffee that is made and served in a sustainable manner might be what is demanded, but are we ready to pay the cost? A massive reduction in independents, a very real price rise and an unintentional increase in environmental impact. 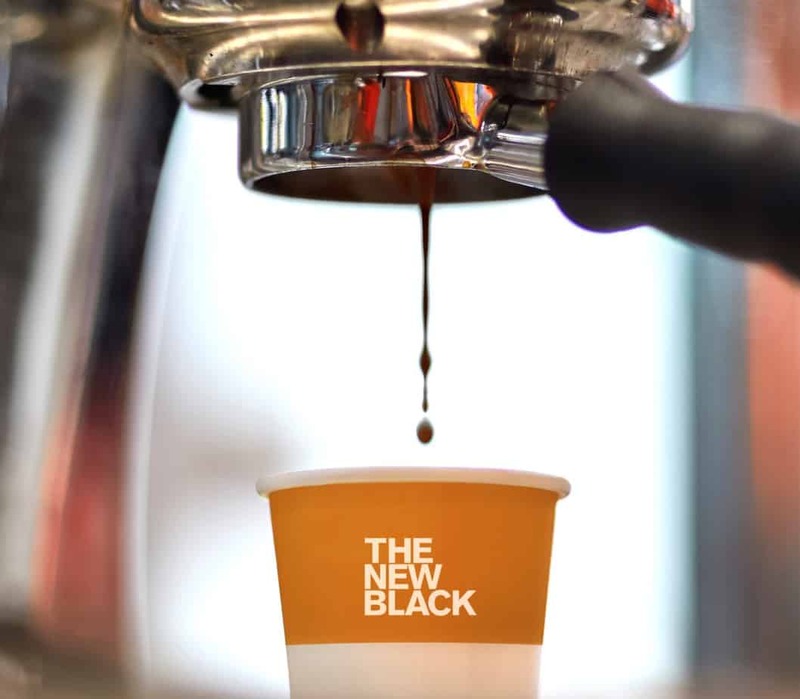 The New Black is making the switch to fully recyclable cups in a sustainable way. Here at The New Black Coffee we’re introducing two new initiatives. First, we are bringing in a reusable cup exchange programme. First you buy your beautifully branded New Black cup. A cup that is thermally efficient and extremely nice to use. You will then be able to return your cup and get a 10% discount off your next drink, in a clean replacement cup. A bit like swap-shop but without Noel Edmunds or Maggie Philbin. (Ed: Showing your age there, David). Second, we are moving, in a considered fashion, to a fully compostable disposable cup offering (in fact our 4oz cups already are). The fluctuations of consumer demand being what they are, it’s hard to put a fixed date on our switch, but I will make one very public and open commitment: we will never buy a single hateful plastic lined cup for our outlets ever again. My guess is in about eight to 10 weeks The New Black Coffee will be a lean green coffee machine.